Knowledge is Power - what can you learn today? 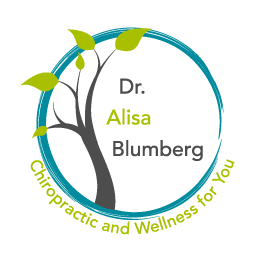 Dr. Blumberg’s highly-acclaimed community education programs are so powerful because they are born of her personal experience in going from discomfort and disease to freedom, health and gratitude. Having “walked a mile in their shoes,” Dr. Blumberg continually inspires people to live happier and healthier lives. LEARN something new, SHIFT perspective, EMBRACE tips for healthy living and RELEASE stress, doubt and worry. We live in a fast-paced, never-stop, information overload, gotta-be-a-go-getter world. And yet we are all looking for ways to slow down, de-stress and stay in-touch with what really matters. These interactive, engaging and dynamic seminars satisfy both the thirst for knowledge and the quest for deeper resonance. Along with many practical tips and techniques, Dr. Blumberg strives to teach her audiences how thoughts and feelings, stored below the level of conscious awareness, keep them exhausted and unwell, and stops them from living up to their full potential. Starting with the empowering belief that health and well being come from inside out, participants learn how to change their perspective. Call Dr. Blumberg at 416-613-9355 to get started. This is an opportunity to bring taking charge of your health, happiness and wellbeing into a personalized and intimate setting for your family and friends. An informal group and a familiar setting allow participants to support each other and to go more deeply into areas of particular interest. This format also allows time for more hand’s on practice. Why not make it a party? Get together, have fun and learn something that could change your life and that of those you care most about for the better, forever. Get in touch to arrange your own in-home chat by calling 416-613-9355 to speak to Dr. Blumberg directly. We all know today’s work environment often demands working harder, longer and under more stress than ever before. Our bodies weren’t designed to sit for long stretches of time, staring at screens, under artificial light, breathing recycled air. Our minds weren’t meant to struggle against an exponentially growing mountain of work, or under internal and external pressure that hampers our creativity and sticks with us even in our free time. What if you could reframe your thinking to support your wellbeing? Or learn a technique to diffuse stressful feelings? Or use a simple exercise to feel calm and refreshed in minutes? Or discover the 6 essential lifestyle choices that support optimal health? Invest a lunch hour or an afternoon in empowering your team to live healthier, feel better and function more effectively! Call 416-613-9355 to speak to Dr. Blumberg directly about the needs of your group.